What is the Web Copy Cat program about? – Scam or not? Hi there, here is another review for one of the many systems available in the internet pretending to make you easy money within a short period of time. If you read on I will clarify why my rating of them is so low. Furthermore I will direct you to one of the best money making online systems in the world. But first this ‘beauty’. What is Web Copy Cat (WCC)? In short WCC is a DFY system, done for you, where you simply set up an account and they will send you the DFY traffic, so that you can start selling their products and receive commissions. This one really claims that you do not need to do any work yourself, not even drive traffic to the website they will be giving you. How do I know this? In the small print and certainly not from their homepage, which gives indeed some information, but not the essential things you need to know. This brings me to their homepage. I do not know about you, but when I would click to their website, curious to know what they are about, I would surely expect to read what they are offering. Instead they start with a partly blurry video of people giving testimony to the fact that this system ( that you still do not know about) is the easiest there is in making money online. It is clear though that all of them talk about the first few weeks of their experience, in which all of them claim they have made some money within the first 10 days. None of them specified how much though. I personally hate it when they are telling me how good something is, when I do not yet know what it really is. I am a person who likes to find out for myself and everybody should have the responsibility to do the same. To me this website intro means that they do not take me seriously! By the way, the website is owned and operated by Easiest System Ever, L.L.C, whoever that may be. Nice name and I am wondering whether it relates to you or more likely to themselves. The next step, believe it or not, is to get started with a system, of which you still do not have a clue what it is. Of course this is very easy and takes three steps in 14 minutes. You have to understand that you only do the minimum of work here, but still get paid. Step 1 you have to send them your details as requested and they will set the system up so that the leads & commissions go to you. Step 2 you will order done-for-you traffic to your business and they will send for you. Step 3 you simply collect your commissions every 1st and 15th of the month. The best Santa Claus ever! 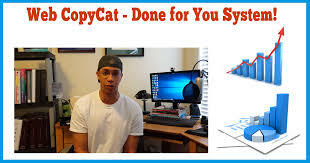 So now I know that Web Copy Cat is a DFY system, that many people seem to like initially and I know how to get in there, but what does it cost? Well, you pay $1 for your account set up and after 10 days you are going to owe a monthly fee of $35. It is not obligatory to go monthly and you can stay with the $1. It appears that the monthly fee is for them to keep sending you the traffic. Now back to those people’s testimonies. They are making an undisclosed amount of money in the first few months, but if they pay for the monthly fee, will it be enough to cover that? I bet you it doesn’t. So, what the hell are you paying for? Well it so happens that their terms and conditions, which you have to access at the very bottom of their home page, give a little more info about how they operate. It appears they have a member program and an affiliate program. They go on to assure you that there is no “Multi-Level Marketing” aspect to the WCC Program. As almost everyone has or should have a healthy aversion against MLM’s, I think they make this disclaimer so that their program looks more honest. Anyone can join the WCC Affiliate Program for free. There is never any charge to be a WCC Affiliate. 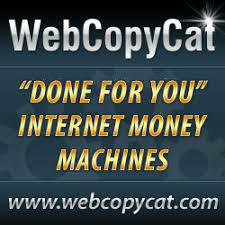 Affiliates earn commissions on sales of the WebCopyCat program through their affiliate link. An affiliate does not need to be a member of the Member Program in order to earn commissions on the sale. So now we know a little bit more about their program. Whether you would be a member or an affiliate you will need to promote their products in order to receive commissions. They are giving you a website, which will probably look similar to the websites other members have; they give you traffic, but do not say anything about how they will do that. I cannot see if there is any training given and if so what exactly. The basic questions here are: why would people go to your website and not to another of the many similar websites? How can you distinguish yourself from the rest? I can assure you that attracting an audience is not an easy thing to do and it takes time and quite an effort. None of this has been clarified to you, the prospective customer (or victim?). This website, other than many similar ones, does not promise you the world, overnight riches or a get rich quick scheme. Instead they focus on easy money. You do not need to do anything, they will do everything for you and you will still earn money. The thing is that I believe this part, you will earn money. However, I also believe that it will not be much and I am afraid that in most cases it will not even be enough to cover your monthly fee of $35. I think this might be their trick, you will earn money, let’s say $25 a month, but you pay them $35, so they make a nice profit from you and others every month. This means that they are not lying to you, not anywhere on this website. In fact they show an earning disclaimer directly under the video and an extended one in their terms and conditions, so they can never be in trouble. I am not so sure though that this is ethical entrepreneurship and I for one certainly do not like this kind of business approach. In having to promote their poducts, you might have to enter unchartered territory i.e. you might have to deal with products that you are totally unfamiliar with. How long will you last? Compare this to a system (as below) where you get to pick your own products, based on your passions! My final conclusion is that you better stay away from this so-called easy money opportunity, which may be legit, but not very ethical and moreover will not make you much money. Instead put your efforts in the best opportunity as described below. In order to be successful in this kind of business you need to be a professional or you need to become one. As most of us are novices at internet marketing you will need professional, scam free and trusted guidance all the way. The one program, which is maybe the best in the world and provides just that is Wealthy Affiliate (WA), established in 2005. Excellent training and even better support will give you a solid basis for starting and building your own website until you can successfully monitise it. I know by experience as I started in late 2014. If you are interested, you can read my full review on WA by clicking here. Through my review you can also join WA for FREE for one week and see the system for yourself. In any case, if you have any questions, please leave them in the comment box and I will respond within 24 hours. Nice review, i enjoyed the read. I guess my one question is, did you have to sign up with them to get more information on them? If they were not really explaining what was offered on the homepage, I feel like you would have to do some investigative work, and start the sign up process. which then i question why any one would even contemplate signing up with them, if they had to sign up just to know what it is. From the sounds of it, the whole site is screaming SCAM! I am glad you liked it. I am lucky enough not to have signed up with one of these programs. I mostly go by their website information and some reviews. It is my experience that the website has a number of red flags such as: having to sign up immediately, earn easy money, start making money without having to do anything, misleading information and all the info that I think is necessary to build any confidence, but is not there. When signing up with these programs they will immediately have all your details and start bombarding you with e-mails, which I do not want. I have now done many reviews in this way and never had any adverse replies, so I guess I am doing something right. 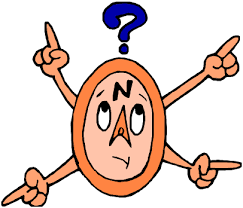 Next PostNext Is Yoonla a Good way to make Money?